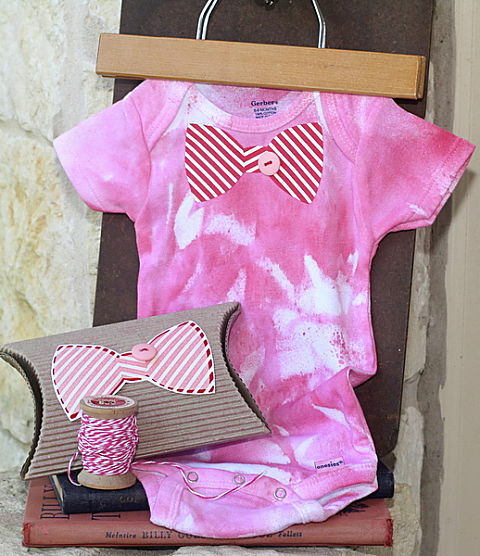 Hi, Connie here with a baby girl project, using Tumble Dye Pink and Red by SEI. This is a no mess way to tie dye and for the project to look fantastic. To tie dye my project (onesies) I used the scrunch method. You can find the Video HERE. I promise you won't get your hands messy either, that is a plus! I first placed a piece of wax paper inside the Onesies. The Tumble Dye will bleed through to the back side. 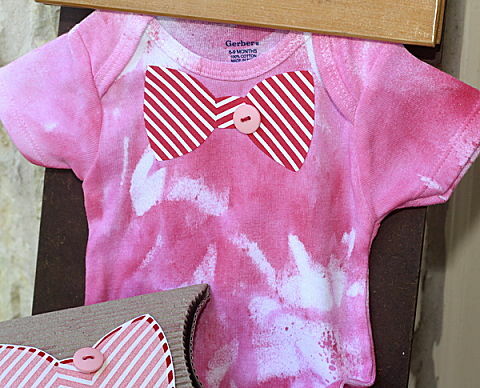 I scrunched the Onesies in the middle and sprayed with the Tumble Dye Pink and then with Tumble Dye Red. I repeated the process on the back of the Onesies. Let the Onesies air dry and then toss it in the dryer for a few minutes to set the dye. For an added girly touch, add a bow~ as in Iron-On-Art by SEI. Very easy and so cute!!!! Hand sew a button on the bow and a cute gift has been made. The Corrugated Pillow Boxes make a great way to gift the Onesies. I used the throw away part of the Iron-On-Art Bow and used it again on the Corrugated Pillow Box. 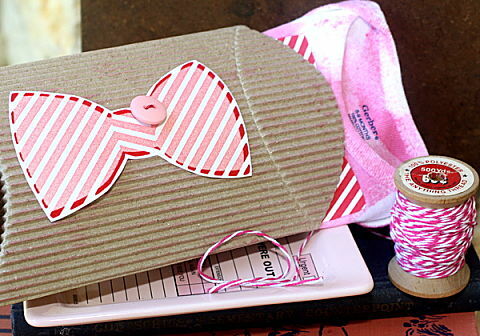 All you do is trim the bow out with scissors and adhere to the front of the Corrugated Pillow Box. Love love love love this!!! Sooooooooooooo fun!!!!!!!!!!!!!!!!!!!!! !